The first human species – or was it? Fifty years ago, the British anthropologist Louis Leakey and two colleagues reported the discovery of a new human species, Homo habilis (‘handy man’), in the journal Nature. Homo habilis lived at least 1.9 million years ago and remains the earliest-known widely-recognised human species to this day. The new species was described from fossils recovered at Olduvai Gorge, Tanzania between 1960 and 1964, but the story of its discovery began more than three decades earlier in 1931, when Leakey first investigated this now world-famous site. Leakey believed that humans had evolved from African apes, as Darwin had originally suggested. By the early twentieth century however, this view had fallen out of favour and an Asian origin was widely favoured. The earliest-known human species at that time was Homo erectus, which had been discovered in late nineteenth century and was then known only in Asia. Although Neanderthals had been discovered some decades before that, Homo erectus was the first human species to be discovered that lived significantly before Homo sapiens and its brain was only around two-thirds the size of a modern brain. However, in 1924, Australian anthropologist Raymond Dart had studied an apelike fossil found at a lime quarry at Taung, near Johannesburg, South Africa. He noted that the spinal column entered the skull through the centre rather than the back, suggesting that it was a biped and therefore a very early human – although its brain was no larger than that of a chimpanzee. Dart named it Australopithecus africanus(southern ape from Africa). The discovery switched the focus back to Africa, and in the decades that followed, australopithecines were also found in East and Central Africa. What was missing was a human ancestor intermediate between the australopithecines and Homo erectus. Leakey became interested in Olduvai Gorge when fossilised human remains were found there, though ironically these later turned out to be a comparatively recent burial. Olduvai Gorge is probably the best-known fossil site in the world, and is now a UNESCO World Heritage site. A steep-sided ravine in Eastern Serengeti, it was formed when a stream carved its way through sedimentary rock, revealing seven main archaeological layers going back two million years. It was originally known as Oldoway Gorge; but it and Olduvai are mispronunciations of the local name Oldupai Gorge, which in turn comes from the Maasai word for the wild sisal plant growing in the gorge. The 1931 expedition failed to discover any fossils, but a number of stone tools were found. These included a rudimentary stone chopping tool that was made by chipping flakes off a stone cobble to produce a weighty, sharp-edged cutting tool capable of cutting into animal carcasses. The tool is now on display in the British Museum, which at 1.8 million years old is the oldest object in the museum’s collection. Leakey classed the find as Oldowan, for the then still-current name Oldoway Gorge. The tool was found in Bed I, the lowest, earliest archaeological level at the site; more sophisticated stone hand-axes were found in higher, later levels. Leakey believed that the site recorded a sequence leading from the simple chopping tools in the lowest levels to the far more sophisticated tools in the higher Bed IV. The search was now on for the maker of the Oldowan tools, but Leakey’s work was interrupted by the breakup of his marriage and the outbreak of the Second World War. In 1951, he returned to Olduvai Gorge with his second wife, Mary, and in 1959, after several fruitless seasons, the Leakeys were finally rewarded with the discovery of the fossil skull of a young adult in the same archaeological layer that had yielded the stone cobble tool. It was small-brained and large jawed, with massive chewing teeth. The new species was designated Zinjanthropus boisei; ‘Zinj’ is an ancient Arabic word for the coast of East Africa, and the name also honours expedition sponsor Charles Boise. The skull was given the affectionate nickname of ‘Dear Boy’ by Mary Leakey. Now known as Paranthropus boisei, ‘Dear Boy’ belonged to an offshoot of the australopithecine lineage that is thought to have been an evolutionary dead end. Could this have been the maker of the cobble tools? It seemed doubtful. The Leakeys were then joined in the field by their son Jonathan, and in November 1960 Jonathan and Mary found a lower jawbone with 13 teeth still in place, together with finger, hand and wrist bones. Over the next three years further fossils were recovered and analysed with the help of primatologist John Napier and anthropologist Phillip Tobias. They came from a species with a larger brain and smaller teeth than ‘Dear Boy’. Louis Leakey believed that this was this was the real toolmaker. The new species was announced in the journal Nature in April 1964 and given a name proposed by Raymond Dart – Homo habilis. Compared to the australopithecines, the skull of Homo habilis was less massively-built, and the upper and lower jaws were within the size range of both Homo erectus and modern humans. The feet were humanlike, as were the thumb joints – but it was shorter in stature and much smaller-brained than a modern human. Males averaged 5 ft. 1 in and females 4 ft. 1 in; the brain size of around 600 cc was far less than the 1350 cc average for a modern human, or even the 750 cc human minimum proposed by British anthropologist Sir Arthur Keith in the late 1940s. This figure lies midway between the largest gorilla brain and the smallest modern human brain. Homo habilis was nevertheless significantly taller and bigger-brained than the australopithecines. However, the limb proportions were still apelike, with proportionately long arms and short legs, suggesting that Homo habilis retained some apelike tree-climbing abilities. The Olduvai fossils are 1.8 million years old. Most remains are from East Africa; but the skull STW 53 from Sterkfontein, South Africa, may also be Homo habilis. The oldest tentative fossil evidence for Homo habilis to date is AL 666-1, a 2.33-million-year-old upper jawbone recovered at Hadar, Ethiopia, but the oldest uncontested Homo habilis remains are only 1.9 million years old. The most recent Homo habilis fossil currently known is a 1.44-million-year-old partial upper jawbone from Koobi Fora, Kenya. These dates – if both correct – imply that the species survived for almost a million years. Homo habilis is not known to have left Africa, but it has been suggested that it might have been the ancestor of Homo floresiensis, the so-called ‘hobbit people’ from the Indonesian island of Flores. 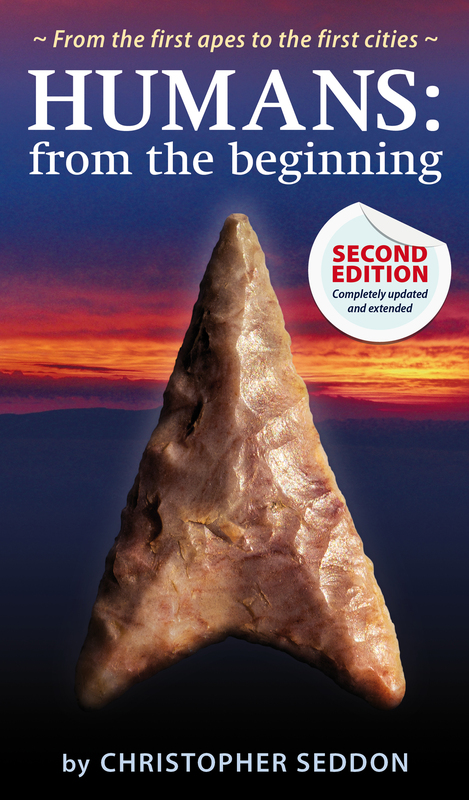 The Oldowan stone tool tradition associated with Homo habilis was the most primitive of all stone tool traditions. We now know that such tools were also made by some of the later australopithecines and might have a response to deteriorating climate as the Earth entered the current series of ice ages 2.5 million years ago. It is possible that as the climate deteriorated, preferred food types became unavailable and australopithecines added more meat to their diet. The increased need to butcher carcasses led to the development of stone tools. Early Homo erectus also used Oldowan tools before switching to the more advanced hand-axes seen in the upper levels at Olduvai Gorge. However, many Homo erectus groups, particularly in the Far East, persisted with the Oldowan stone cobble tools. Plaster casts of the inside of Homo habilis braincases have shown that the sulcal and gyral patterns (ridges and furrows that give the human brain its wrinkled look) were more humanlike than apelike. The frontal and parietal lobes are enlarged, and that the Broca’s Area was expanded in comparison to the same region in australopithecines and modern apes. The frontal lobes, which control higher brain functions including planning and reasoning, are located at the front of the brain. Behind them, on the top and on each side of the brain are the parietal lobes, which carry out a wide range of functions including spatial awareness and the processing of sensory information. Broca’s Area is named for nineteenth century physician Paul Broca who demonstrated a connection with speech. Damage leads to Broca’s aphasia, where patients are unable to speak in a grammatically correct manner. This suggests some linguistic abilities, though recent research shows that the Broca’s Area is also associated with tool-making. It is possible that its expansion was linked to enhanced tool-making skills as well as or possibly instead of the use of language. However, the late australopithecines that made stone tools had brains no larger than their forebears, so tool-making alone doesn’t explain why Homo habilis needed a bigger, better brain. Bigger brains might sound like a good idea, but the same could be said of owning a Rolls-Royce. The problem in both cases is that they are expensive to run, and there is a pretty good case for trying to get by without. Brain tissue requires over 22 times as much energy as an equivalent amount of muscle tissue. In a modern human, the brain uses around 16 percent of the body’s energy budget despite making up just 2 percent of the body’s overall mass. While the energy costs of the smaller Homo habilis brain were less than those of a modern human brain, they were still considerable. A possible answer is the social brain hypothesis, a theory which links the brain size of primates to the size of their social group. The enhanced brainpower is needed to keep track of the complex social relationships that are normal in many primate societies – not just human ones. Larger, more co-operative social groupings in Homo habilis society might have been an evolutionary response to the deteriorating climate and reduced availability of food. Just where Homo habilisbelongs in the human family tree remains contentious, even half a century after its discovery was announced. Even its membership of the human league is now questioned, with some seeing it as the anthropological equivalent of the now ex-planet Pluto and arguing that it should be reclassified as an australopithecine. Although most textbooks describe Homo habilis as the ancestor of Homo erectus, the view has been called into question. Recent fossil finds indicate that Homo habilis persisted alongside Homo erectus for hundreds of thousands of year at Koobi Fora, Kenya. This makes it unlikely that the latter evolved from the former, and instead it has been proposed that both shared a common ancestor about two million years ago. If it were to turn out that the disputed AL 666-1 upper jawbone was something other than Homo habilis, then this scenario would become likely as the oldest examples of the two species would then be practically the same age. Another possibility is that the true ancestor of Homo erectus is the recently-discovered australopithecine species Australopithecus sediba. Australopithecus sediba lived in South Africa two million years ago, with limb proportions said to be more humanlike than Homo habilis. Do the fossils assigned to Homo habilis even represent a single species? The variation in Homo habilis fossils is considerable and it has been suggested that these actually represent two species. Some examples have a broader, flatter face and larger teeth than others, and it is has been proposed that these be assigned to a second species known as Homo rudolfensis. On the other hand, it has been claimed that the degree of variation between skulls assigned to Homo habilis, Homo rudolfensis and Homo erectus is actually no more than that between five early Homo erectus skulls found at Dmanisi, Georgia, and it has accordingly been suggested that all three are actually the same species. The problem with this view is that it does not explain the more apelike limb proportions of Homo habilis. It is this detail together with the small brain size that has led some to believe that Homo habilisshould be reclassified as an australopithecine. Quite simply, it is too unlike Homo sapiens to be regarded as a human species. However, there is no consensus on the issue. Studies have been conducted to determine whether it can be included in Genus Homo on the basis of anatomical characteristics shared with other members, but these have proved inconclusive. If Homo habilis individuals could somehow have been aware that they would one day become the subject of such deliberations, it is unlikely that they would have been overly concerned. It should not be forgotten that they might have existed for as long as a million years, which is a testament to their success as a species.